Onyx Core Shorty is a 2mm thick wetsuit that come with a tight fit design. 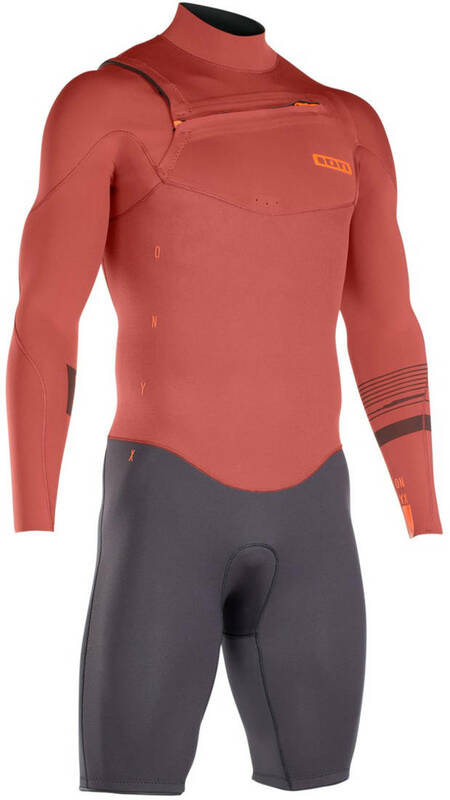 The wetsuit has long sleeves and has the zipper on the chest. The chest zipper is a great solution for keeping water out in the top of the suit - to avoid flush throughs in the neck area. A perfect warm tool for all kinds of watersport. Aqua-A is a solvent-free water-based glue used in all Ion wetsuits. Wetsuits following body contours enhancing flexibility and comfort. 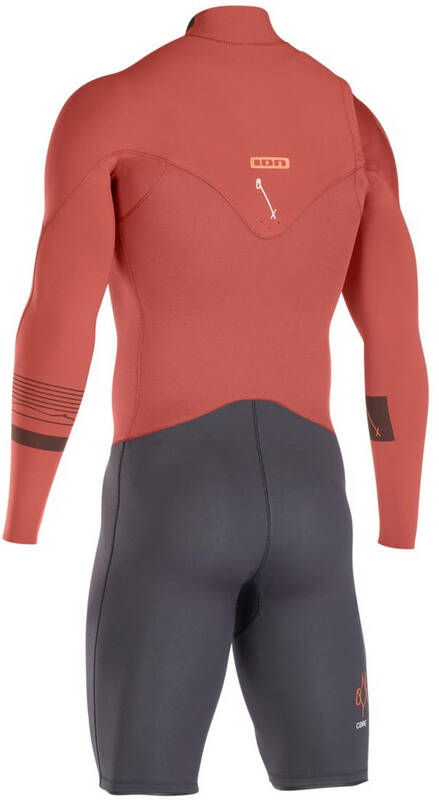 All Ion wetsuits come with contour cut. To avoid accumulation of water where overlap fabrics are located drain holes are added. The drain holes won’t expand. At the inside of the wetsuit is an internal pocket for keys that can resist water. To bond neoprene panels effectively to reach superb water resistance, glueing is used in combination with blind stitch sewing the panels together. Fabrics used for more exposed areas on the wetsuit - for instance, knee areas. The Supra Tex fabric is more abrasion resistant.